As the world’s human population continues to explode, the pressure on the environment and wildlife is driving many animal, plant and aquatic species to the brink of extinction. Eco-tourism is a sustainable way to look after ecosystems, because it provides many jobs and money, while still managing to protect the environment. Ecotourism covers a whole range of activities but here we are concentrating on the sustainability of many of the world’s most iconic environments and animals. If we want to see orangutans, tiger sharks, elephants, lions and tigers in the wild then it could be ecotourism that will give us the only opportunity to do that in the future. The combination of environmental and local economic sustainability means the indigenous population has the motivation to keep the target species alive i.e. they are worth more to them alive than dead. The best models work by linking community development with education and environmental stewardship, creating the right atmosphere for eco tours that protect endangered animals in the wild. In light of all of this, here are a few ecotourism and endangered-species conservation programs, courtesy of the WHL Group (www.ecotourism.org). From its headquarters in Malaysian Sabah on the tropical island of Borneo, one local conservation centre has been working hard since 1964 to protect one of mankind’s closest relatives. Here in a local forest reserve is the Sepilok Orangutan Rehabilitation Centre, a sanctuary and boarding school for around 25 orphan orangutans. The centre houses young primates caught during logging operations and confiscated from illegal poachers. Working in close collaboration with the United Kingdom’s Orangutan Appeal, the organisation gives the fostered orangutans the training they need to survive in the wild. Babies are given daily meals of milk and bananas and are nurtured through a buddy system, which partners them with older apes. 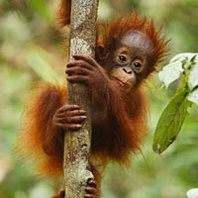 In this way, many youngsters learn skills, including tree-climbing, that are essential for life in the forest. The Sepilok Orangutan Rehabilitation Centre can be reached via a 45-minute flight from the city of Kota Kinabalu. At the Centre, a guided walking tour begins with a short informational video. Guests then have the chance to witness a feeding and explore the surrounding forest reserve, home to between 60 and 80 orangutans. All proceeds from the visitors’ entry fee helps to run the program. ​Based in the fishing port of Caravelas in the Brazilian state of Bahia, the Instituto Baleia Jubarte works tirelessly to monitor and protect the habitats of humpback whales. The research taking place focuses on whale populations, whale behaviour and human threats to whale conservation. 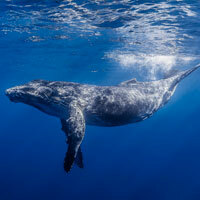 In the legal sphere, the institute has also been instrumental in putting a stop to offshore oil exploration during the humpback whale’s mating season. One difficulty of studying whales stems from the amount of time they spend completely submerged. When spotted breaching, however, humpbacks put on quite a show. Weighing between 35 and 40 tons, these graceful acrobats nevertheless seem to hang in mid-air. Humpbacks feed during the summer in polar waters off Antarctica, but when the season turns they migrate north in search of warmer seas in which to breed. From July to October, they are therefore often spotted close to the small village Morro de São Paulo, where a local whale-watching tour is run in partnership with the institute, a portion of the proceeds contributing to whale research. Each tour collects scientific information about the creatures as visitors learn more about whale migration patterns. Listed as vulnerable on the IUCN Red List of Threatened Species, the African lion has seen its numbers dwindle fast, plummeting by an estimated 30% in the last two decades alone. Some top threats to the cats include defensive killings by humans to protect their livestock, reductions in prey and loss of habitat. In the face of this, non-governmental organisations across the African continent such as the African Lion and Environmental Research Trust (ALERT) are working to set responsible standards that will help in the conservation of these iconic creatures. In Zambia, the low density of the human population combined with an immense tract of well-preserved parkland have made it a main refuge for the noble African lion. Roughly twice the size of Belgium, the territory of Kafue National Park plays host to the Kafue Lion Project, which helps to ensure the long-term sustainable management of the area by collecting information on the stability of the park’s lion populations. 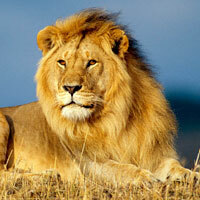 Such data will eventually be used in the development of a countrywide Lion Management Strategy. ​Capitalising on this in a responsible fashion, many tours and experiences in Zambia now allow travellers to observe lions in their habitat. From the city of Livingstone, whl.travel local connection Wildside Tours’ lion encounter tour provides an opportunity for visitors to walk amongst the lions. For a bit more distance, a lion safari drive is a good way to watch lions hunt and play against the stunning backdrop of the nearby Dambwa Forest. Residing in the alpine regions of Central Asia and mountain ranges of the Himalayas, snow leopards survive in some of the world’s harshest climates. There may only be between 4,500 and 7,500 left in the world, although as solitary and elusive animals, they are famed for being difficult to count. Complicating conservation efforts are the hostile conflicts along the international borders where over a third of the animal’s territory falls. Nepal is known to have a relatively dense snow leopard population, especially throughout the spectacular Annapurna trekking region. Due to their loss of habitat and the area’s omnipresent livestock, the cats have occasionally preyed upon villagers’ sheep and horses. 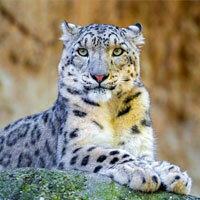 To help stem the tide of retaliatory killings against snow leopards, organisations such as the WWF (formerly known as the World Wildlife Fund) and theSnow Leopard Conservancy work to provide villagers with livestock insurance and other alternative income sources. One current WWF project focuses on training villagers to set up camera traps that allow for surveying and monitor the cats. This is in additional to helping locals create treks, education initiatives, cultural shows and guided wildlife tours aimed at spotting the elusive snow leopard. For more ideas have a look at The International Ecotourism Society.